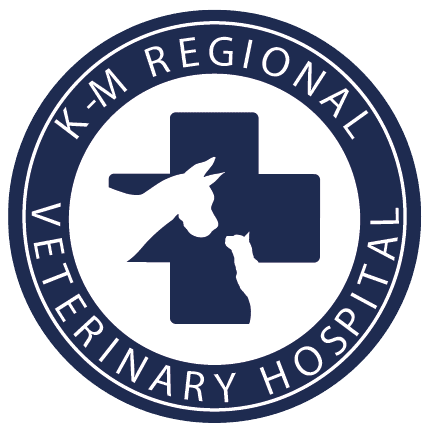 We offer the most advanced surgical techniques and technology at K- M Regional Veterinary Hospital and Surgical Center. 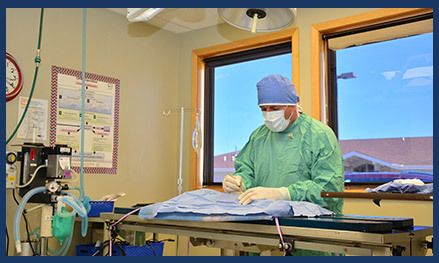 Our team is highly trained to provide most surgical procedures for your pet, including spay and neuter surgery, growth removals, laceration repair, orthopedic surgery, soft tissue surgery, and advanced dental surgery. A fully equipped surgical suite capable to perform most types of soft tissue and orthopedic surgery. We utilize laser surgery whenever possible. Lasers are a minimally invasive alternative to traditional surgery. Lasers replace scalpels in many procedures, and are useful for a wide range of conditions, such as cyst, tumor and wart removal, and are especially useful in declawing. Laser procedures result in less pain, less bleeding and less swelling. They reduce the risk of infection and post-operative discomfort. Before we begin any operation, we conduct a series of diagnostic screenings. Analyzing information from blood work will allow us to determine if it is safe to give your pet anesthesia, as well as if there are any pre-existing medical conditions that should be addressed. Our on-site laboratory allows us to have the results back for many of these tests within an hour. All animals that undergo surgery have their blood pressure, heart rate, rhythm, and blood oxygen levels monitored by a specially designated veterinary technician and high-tech equipment. We provide the same level of patient monitoring that you would receive if you were having surgery. We monitor all of your pet’s vital signs with state-of-the-art equipment as well as manual techniques. Pets are monitored during surgery using pulse oximetry, respiratory monitoring, EKG, temperature monitoring, and are given oxygen. We believe in maximizing the comfort of your pet during and after his/her procedure. Anesthesia and pain management protocols are individually developed for each pet. Proper pain management improves your pet’s recovery and speeds the healing process. We administer pain medication before beginning the procedure, during the procedure and post-operatively as required by your pet. We use a multi-modal approach to pain management. A multi-modal approach refers to the layered administration of small amounts of different drugs to minimize any pain that your pet might feel during or after the procedure. Since we administer lower doses of each individual drug, your pet will experience fewer adverse side effects, more complete pain relief and faster post-operative recovery. Following your dog or cat’s operation, our staff is trained to perform a number of therapy techniques that will ease pain and promote faster recovery, complementing relief medication. Please call us if you have questions regarding the procedures offered, or our hospital’s protocols. We would be more than happy to provide you with more information.